Learning about the range of debt relief programs available will help you determine a course of action that will enable you to take control of your credit card debt. You know you're in trouble if you're receiving notices from your creditors or if debt collectors are calling. While struggling with credit card debt is serious, you can take a number of steps to ease your concerns and rectify your financial situation. Creating a budget is the most personal of the debt relief programs. It's an option that is available to you anytime and is important to every household. All you need is a realistic idea of how much money you bring in and how much you spend each month. For guidance on developing and managing a budget, click here for budgeting tips. In addition, the internet, libraries, and bookstores are good places to look for information on how to create a budget so that you can make ends meet and still pay off your debts. As hard as it may be to pick up the phone, making a call to the companies you owe money to may be the best thing you could do. Let them know you are having trouble making your payments. Explain to them what the problems are: you lost your job, for example, and have less money now. Ask what debt relief programs they offer. They may suggest modified payment plans or have other ways to work with you. 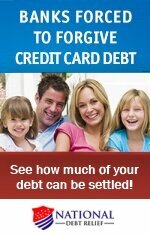 This may not work if the credit card company has already turned your account over to a debt collector. If that has happened, you may want to move on to the next step. Click here for more on negotiating with credit card companies. These organizations help you manage your bills, track your payments, and get your finances in order. 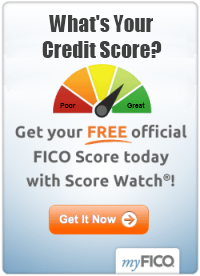 Unfortunately, there is no way to be sure that a credit counseling company is legitimate. Some charge high fees or ask for upfront payment. In-person counseling is generally better than trying to do it over the phone or online, so ask your friends or your banker for a referral to a reputable credit counselor. 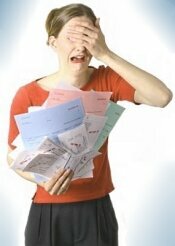 The credit counseling service might offer debt relief programs known as debt management plans. This means the counseling service sets up an account for you. After you deposit money, it pays your credit card debts for you. This requires regular, timely payments and it may be several years before the debt is paid off. You may also have to agree not to use a credit card at all while you are enrolled in the plan. Learn more about counseling services by clicking here: Credit Card Debt Counseling. These companies offer to negotiate with the credit card companies to reduce what you owe. However, the Federal Trade Commission is concerned that many of these companies are not legitimate, even if they claim to be nonprofit organizations. If you stop paying on your credit card based on their claims, and they really have not negotiated with your company, then you will end up owing even more money. Lookout for companies that charge fees before it settles your debts. Also, stay away from companies that pressure you, offer special government programs, guarantee to free you of debt, ask you not to call your credit card company, or make other outrageous demands. There are, of course, legitimate debt settlement companies. You must be careful if you consider this route. Research the company thoroughly before agreeing to its terms. Try searching the company on the internet and read any complaints you find. Before you sign agreements with any company, particularly one that offers to take over your accounts for you, be sure to check out the company with the Better Business Bureau, your local consumer protection agency, or the state Attorney General's Office. For additional information on debt relief programs, see the article links below. Should You Consider Settling Debt?